SAN FRANCISCO (KGO) -- A military flare that washed ashore on San Francisco's Ocean Beach has been detonated. Officials say it washed up around 2:30 p.m. on Wednesday. 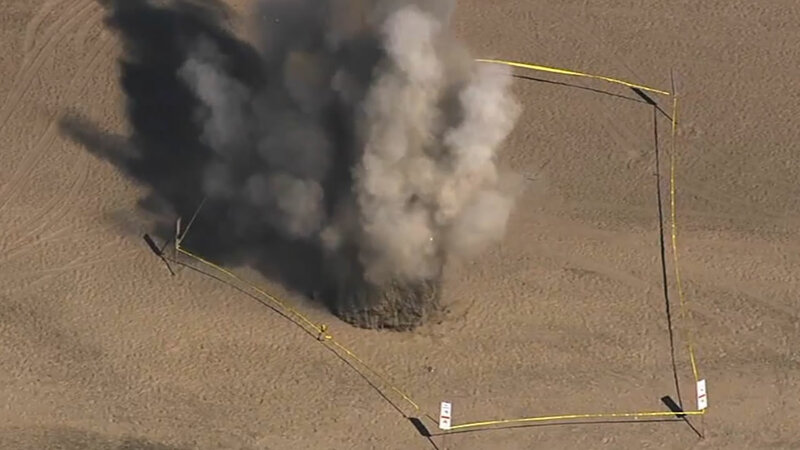 It was detonated a little before 4 p.m. According to authorities, the flare showed up near stairwell nine near the water's edge. They say it's not unusual for them to wash ashore and that these flares are used as a marker for military practices. If spotted, officials say they should never be picked up.